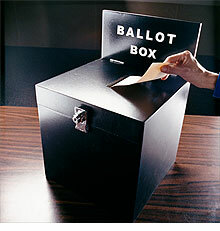 The government has reportedly revised its plan to allow prisoners serving less than 4 years to vote in elections. Ministers now seek to limit the right to those sentenced to a year or less. A looming presence in the debate has been the much-touted figure of £160m compensation which the prime minister has warned Parliament that the UK will have to pay if it does not comply with a 6-year-old judgment of the European Court of Human Rights (see my last post on the issue for the full background). But where did this figure arise from? And is it right? The very basic background to this issue is that in the 2005 decision of Hirst (No. 2), the European Court held that Section 3 of the Representation of the People Act 1983, which prevents prisoners from voting, is in breach of the electoral right under Article 1 of Protocol 3 of the European Convention on Human Rights. The court ruled that the total ban on prisoners voting was a “general, automatic and indiscriminate restriction on a vitally important Convention right“. Under Article 46 of the European Convention of Human Rights, which the UK bought into willingly, obliges it to “abide by the final judgment” of the European Court of Human Rights. So, politicians who want to fight ruling are feeling a kind of buyers remorse. The UK government has consistently delayed implementing the judgment, and the coalition appears to be no different. Having realised that his proposals may not make it through a Parliament vote, the Prime Minister is now resiling from them. Like the last government, he has realised that prisoners have few friends in either the general public or indeed Parliament. But what about the £160m? The figure arises from a large number of claims – around 2,500, of which 1,500 have been registered and are awaiting decision – which are now before the European Court of Human Rights. Using new powers, the Council of Europe, which monitors compliance with European Court of Human Rights judgments, has effectively frozen those claims pending the UK’s decision on the issue. However, the Council of Europe has threatened that if the UK fails to implement Hirst No. 2, the claims will be reinstated. So the first question is what “implementing” Hirst No. 2 entails. All the judgment really says is that a complete ban on prisoner voting is too indiscriminate. However, a series of recent cases, most notably Frodl v Austria, in which the court ruled that the vast majority of prisoners in Austria must be given the vote, unless there was a “direct link between the facts on which a conviction is based and the sanction of disenfranchisement“. This is far wider than Hirst (No. 2), and whilst it is not technically binding on the UK, it does provide a clue as to what would happen if either of the government’s recent proposals – limiting the vote to either 1 or 4 year serving prisoners – would be received in the European Court. Not well. In future follow-up cases, in light of the above considerations, the Court would be likely to consider that legal costs were not reasonably and necessarily incurred and would not, therefore, be likely to award costs under Article 41. As a consequence of the Court’s approach to just satisfaction outlined above, an amendment to the electoral law to achieve compliance with the Court’s judgment in Hirst will also result in compliance with the judgment in the present cases and with any future judgment handed down in any of the comparable cases currently pending before the Court. This means that the court declined in Greens to impose punitive damages on the UK for failing to allow prisoners to vote. Its declaration, and the repeated warnings by the Council of Europe, amounted to ‘just satisfaction’ (Strasbourg language for an effective remedy in human rights cases) without having to resort to damages. But the deciding factor was the government’s promises to change in the law. The prisoners were awarded €5,000 in total, but this was for costs and expenses. The court said that it will not entertain costs applications in future case. So what this appears to mean is that the 2,500 or so cases in the pipeline would not receive costs, but may receive damages if the UK fails to implement Hirst (No. 2). To hit the £160m mark, all 2,500 applicants would need to receive £64,000 each. This is not going to happen. It is more likely they would receive a few thousand pounds each, if that, which could amount to around £5,000,000 to £10,000,000. It may cost more than this to implement the ruling in Hirst (No. 2). But the situation is fluid. The Council of Europe is taking the issue seriously, and if the UK fails to comply it may seek to flex its muscles. And more claims may then follow, from the other 70,000 or so serving prisoners, which would cost the UK more. We shall see. This is all fiendishly complex, and it is unsurprising that nobody, including the government, is quite sure what would happen once it has changed the law. Many, including legal blogger Carl Gardner, argue that the European court keeps moving the goalposts. That criticism has some force. But unless the current government swallows the bitter pill of prisoner voting reform now, it will simply delay the pain until later. Mr Hurst, thank you for your reply. I agree that there should be more coverage of the issue, and more legal analysis in the popular press. I’m not sure I agree with you on your understanding of the role of the state. It’s an obvious point, but you didn’t reply to why, if the ECtHR is interested in furthering democracy pursuant the Convention, it is free to override the wishes of the electorate. There are not so many prisoners that granting them the franchise would make the majority of the franchise, on balance, in favour of prisoners having the vote. That prisoners forfeit the right to vote is a recognised rule of law. Further, the Convention did not make capital punishment ‘a big no no’, and under the convention it did not ‘have to go’. Art 2 of the Convention reads: “No one shall be deprived of his life intentionally save in the execution of a sentence of a court following his conviction of a crime for which this penalty is provided by law”. If capital punishments are provided for by law, they are acceptable under the convention. There isn’t, for instance, any suggestion that Turkey abolish capital punishment if it is allowed to join the EU. Capital punishment was ended in this country because of a change in public opinion as perceived in Westminster. It was a finely balanced issue, as anyone who has ever debated or read an opinion poll must know, but when in doubt, Parliament erred towards more liberal principles. The fact that they do not do so when concerning prisoners’ voting indicates that public opinion is firmly against any change. So the example of capital punishment that you cite is really an example of the wishes of the electorate being listened to. As you cite Roman law principles, you must be aware of the antiquity of this rule. For other readers of this blog, and for completeness, the political elements of civitas, suffragium and honores, were forfeited by infamy (infamia) or loss of civic honour (existimatio);The law of infamia, as carried out by the censor, came to be also recognized by the praetor in his edict, who made infamy not only a consequence of condemnation in any criminal trial (publicum judicium), but also of condemnation in certain civil actions founded on delict, such as theft, rapine, outrage, fraud; or on certain contracts, such as partnership, agency (mandatum), deposit; or on quasi contract, such as guardianship; or of insolvency (bona possessa, proscripta, vendita); or, without any judicial condemnation, was annexed to certain violations of the marriage laws, such as bigamy or the marriage of a widow before the termination of her year of mourning, and to the pursuit of certain professions, such as that of stageplayer or gladiator. The rule that convicted defendants, in criminal matters, should not vote in popular assemblies has been a constant, unchanging rule for well over two thousand years. The ECtHR’s approach to the history of the rule in the case of Hirst obscured the issue. The loss of suffragium is nothing to do with the extension of the franchise to other classes. Rightly, having the vote in modern societies has nothing to do with property ownership or birth. However that is a separate issue from proper sanctions for convicted defendants. Rightly, the loss of voting rights now does not attach to some of the civil law issues which it formerly did, in line with changes in public morals. For instance, no longer does it attach to insolvency or violations of marriage laws. However, in giving a judgment in your case, the ECtHR attempted to confuse the two issues to justify a linier progression from ‘few people voting’ to ‘everyone voting’. The ECtHR’s arguments based on the history of the rule formed an important part of its decision, but they were based on an error, and an oversimplification of social and legal history. There is nothing that is contrary to ‘Roman law’ about depriving prisoners of the right to vote. You are right that the Convention exists to protect vulnerable groups. However, it would be interesting to hear your arguments for prisoners being vulnerable, as popularly understood. Arguably, the popular view would be that every prisoner has made a choice to be part of that ‘group’, by committing a transgression of the laws made by a democratic process, and one serious enough to merit a custodial sentence. It isn’t a group that people are forced to become part of. Depriving prisoners of a vote isn’t victimisation in the same way that depriving people of a vote along the lines of class or race would be. Further, as one of the main reasons for imprisonment of convicted defendants is the protection of society at large, it’s hard to call them the vulnerable ones. EC: I apologise for the delay in replying firstly because I was not aware that you had responded, and secondly because I have been rather busy anyway on my case and have just got around to checking for follow ups to my comments. According to Foulkes: “The basic and traditional functions of the state are those of securing the community against external aggression and internal strife and of keeping itself going out of taxation…In addition, the need to attempt to secure human rights”. I do not believe that the Court has overridden the wishes of the electorate in my case. My challenge was aimed at the Executive, Parliament and Judiciary. Parliament was caught out disenfranchising convicted prisoners without any Parliamentary debate. Kennedy LJ, abdicated responsibility and deferred to Parliament. It is not down to the electorate to decide which members of society can and cannot vote, and even if this was the case and the electorate had voted against it the Court would have still ruled in my favour on the ground of protecting a vulnerable group from victimisation by wider society. You are incorrect to claim “That prisoners forfeit the right to vote is a recognised rule of law”. “We have to stress the implementation of the rule of law in order also to once again highlight the interrelationship between rule of law and democratic and human rights principles. First of all, for a Council of Europe member state, the rule of law means full compliance with the European Convention of Human Rights other legally-binding instruments and of course the judgments of the European Court of Human Rights”. democratic society, for automatic disenfranchisement based purely on what might offend public opinion”. “That may well be so, but the decisions taken by this Court are not made to please or indispose members of the public, but to uphold human rights principles”. history of the United Kingdom and other countries where the franchise was gradually extended over the centuries from select individuals, elite groupings or sections of the population approved of by those in power. Universal suffrage has become the basic principle”. As you acknowledge, the Convention exists to protect the vulnerable from the abuse of the powerful. I don’t argue from a position of popularly understood because I am different. In my view, convicted prisoners are a vulnerable group because they do not have the vote in Parliament to influence change for better penal reforms. Your popular view, about prisoners having committed their offences and serious enough to warrant a prison sentence should be denied the vote was argued and lost by the UK in the Court. The human rights under the Convention are not dependent upon the good conduct of the person claiming a violation by a Member State, but are granted because that person is a human being. It is victimisation based upon human beings social status of being a prisoner. It is one thing to have a policy which protects society at large, and quite another to subject society not at large to a totalitarian regime whilst in prison. In effect, a police state within a state. Baroness Butler-Sloss has said that the UK’s failure to fully comply with my case is a national disgrace. It is a shame that the public at large are not proclaiming that this abuse by the state is a case of “Not in our name!”. EC: Thanks for the Halbury’s link, I had missed it because Google Alerts let me down on this particular occasion. I am chuffed that David Aaronovitch wrote a sympathetic piece in The Times today, and Martin Kettle also in the Guardian. Daniel Hannan, on the other hand, has made a fool of himself in the Telegraph, but it does serve to raise the profile and allowed me to fisk him in the comments, which I know The Times Home Affairs team paid attention to it as I had shown an interest in Aaronvitch’s article. During the conversation they were interested in hearing about who, and how much legal bother they are in and why that is the case. Hopefully, some more serious reporting will emerge. I think the ECtHR excluded public opinion firstly, because the case was the Individual v the State and the public are not part of the State. Secondly, as with Capital Punishment the public was in favour of retaining it in the UK but under the Convention and Council of Europe it is a big no no so it had to go go. Thirdly, there is in Roman Law systems the Actio Popularis principle designed to protect vulnerable groups from State abuse and also protect them from victimisation by wider society. Fourthly, perhaps, under the HRA the victim is the one being abused by a public authority and does not involve the public generally nor victims of crimes. Our society is not democratic, because not every vote counts, and the ECtHR’s stand is universal suffrage. The ECtHR does not take account of the electorate, that is for the government and Parliament to take into account when they are not too busy stuffing their pockets with expenses. I don’t think it is arguably a travesty. S.3 of ROPA 1983 is a travesty of democracy. Article 3 of the First Protocol is designed to ensure democracy. The electorate can make its wishes known at the polling booths if not satisfied and believe that they have been ignored. Interestingly, the ECHR picked up on the point that the general public weren’t in favour of the change in Hirst at paragraph 70. There the court stated: “Nor is there any place under the Convention system, where tolerance and broadmindedness are the acknowledged hallmarks of democratic society, for automatic disenfranchisement based purely on what might offend public opinion.” Not even the ECHR believes that voters in England wish for prisoners to share in the franchise. The problem is quite clearly this: our democratic society does not want prisoners to have the vote. So, where does the ECHR stand on democracy? Does it want to take account of the wishes of the electorate or not? Arguably it’s a clear travesty of all that the Convention stands for if the clear wishes of voters are ignored and far more so when that is done in the name of democracy. What’s the point of extending the franchise as far as possible if the wishes of the electorate are ignored? The issue of prisoner voting has also been discussed on the Halsbury’s Law Exchange website in some detail (see http://www.halsburyslawexchange.co.uk/prisoners%e2%80%99-right-to-vote/#comments). David Pannick arrived at a figure of £750 per prisoner. I also feel that in relation to Charles Falconer and Jack Straw a case can be made out for a misfeasance in public office/negligence, I floated it by a Chambers and it was thought to be a runner. I would rely on Ashby v White (1703). The Strasbourg jurisprudence on this subject is, to say the least, not exactly helpful and has been well considered both in this post and in Carl Gardner’s “Head of Legal” blog. Having said this, the jurisprudence does tend to the view that ideas of “civil death” now belong to the dark ages ! However politically unpalatable to some, this issue must be grasped and prisoners allowed to vote. A point which also continues to concern me is the U.K.’s record in relation to compliance with the Convention. We look like a reactionary country which has to be dragged kicking and screaming all the way. Even when we “comply” it is frequently only by doing the minimum. Lawthink has an interesting post on this. Good blog there – well worth following. The article I’ve read regarding non compliance with the rights of prisoners to be included in the democratic process is not really surprising. Prison is meant to take away the individuals liberty, that is the punishment but there’s also rehabilitation, education, instilling a work ethic, etc. etc. It seems as though that’s not enough for some people and as a result prisoners are denied their basic human rights. How many times have prisoners brought, [and won,] cases against the Government in which their human rights had been breached. It is an emotive subject but the law is the law however unpalatable some people may find it. I’ve often wondered about the damages issue, too. Any figure like this seems to just grab media attention and take on a life of its own, without ever being checked. To be honest, I also think it suits the government to let people assume non-implementation will be costly, because the idea of handing compensation will be so unpalatable to many Conservatives that the mere thought may bring them into line behind the government’s new proposals. I suspect the government’s real fear is the diplomatic embarrassment of being the first country (I don’t think it’s happened to anyone else yet, has it?) taken back to court for non-compliance with Hirst. Presumably, the £160m figure reflects the fact that not just 2,500 but also many of the 28,000 prisoners who would have been able to vote under the four-year rule will now no longer be enfranchised.